In creating The Healthy Mummy Range & Lose Baby Weight Plans it was critical to create the best health and weight loss product possible to help mums feel great. In creating The Healthy Mummy Range, we worked with leading Australian Nutritionists, Dieticians and with the input of the Monash University. But please note if your baby has colic or food sensitivities we do not recommend changing your diet without talking to your Doctor. The product has been tested and reviewed countless times to ensure a superior product and one that is beneficial to all mums and also to ensure that if you are breastfeeding mums can follow a breastfeeding safe diet. You can also see a comparison table to other products here. Being a mum of two I know how busy life can get and your own nutritional needs can sometimes take a back seat to the needs of your little ones. The Healthy Mummy Smoothie is the perfect solution, packed with essential nutrients mums need for good health and plenty of energy, as well as helping support healthy weight loss. I love the fact that this smoothie supports breast feeding mums too, with the addition of fenugreek, plenty of protein and other important nutrients needed for healthy milk production. The great variety of fibre sources not only further lowers the GI of this smoothie, helping to keep blood sugar levels balanced and promote weight loss, but it also has the bonus of helping keep mums nice and regular. The Healthy Mummy Smoothie makes a great complement to any mum’s diet that needs that extra nutritional boost. Great product! 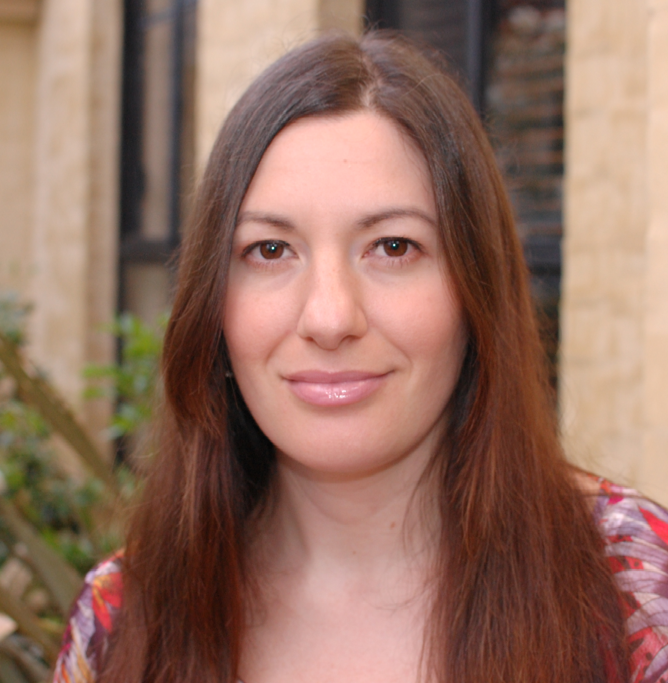 Lisa Guy, Naturopath and Author. 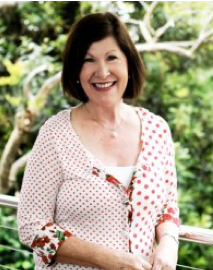 Kathleen Alleaume – Nutritionist, Author and Mum. I have never been a fan of the majority of meal replacements, however The Healthy Mummy Smoothie Range caught my attention. Unlike the majority of traditional meal replacements, The Healthy Mummy Smoothie has a high level of energy boosting carbohydrates without the extra ‘added sugar’. The GI (glyceamic index) of the smoothie is low, which results in the carbohydrates in the smoothie (our primary source of fuel) to release slowly and ensure blood sugar levels remain stable and hunger pangs at bay. The Healthy Mummy Smoothie also contains a huge amount of both soluble and insoluble fibre. Not only is this a great benefit to weight control, but also keeps the inner digestive system healthy. 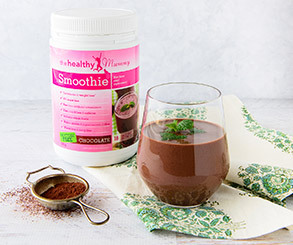 To assist busy mums reach and maintain a healthy weight, The Healthy Mummy Smoothie is an excellent portion-controlled meal replacement and is a perfect weight loss solution when it is used in partnership with a well-balanced eating plan and regular physical activity. Further, as it is crucial for breastfeeding mums to eat regular healthy meals and snacks to meet her individual nutritional needs, as well as meeting the extra physical demands of producing milk, the smoothie provides a nourishing, convenient snack choice to enjoy with a balanced diet. Best of all they taste fantastic! The smoothie is perfect with your favourite anti-oxidant rich fruit for a snack, or to include as your breakfast or lunch. 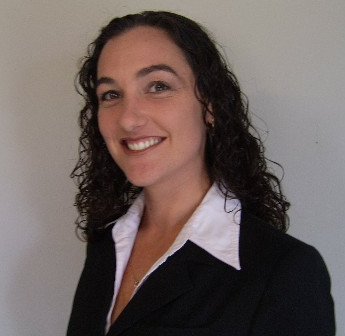 Kathleen Alleaume is an Accredited exercise Physiologist and Nutritionist. 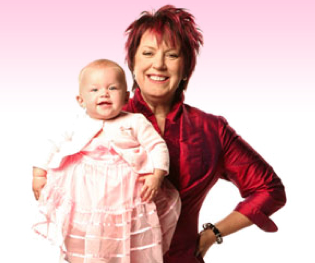 She is founder of The Right Balance www.therightbalance.com.au and Author of What’s Eating You? 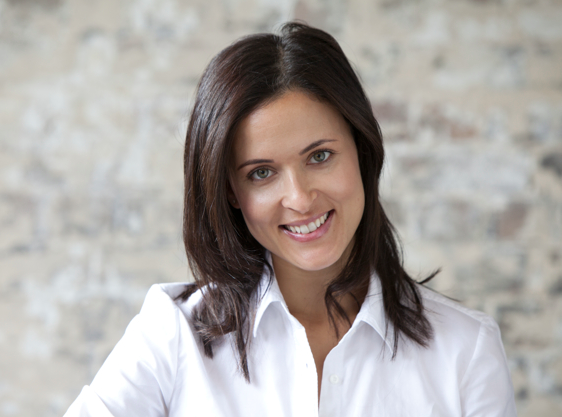 Rachael Keenan – Nutritionist and Mum of 2 & Co creator of The Healthy Mummy Smoothie Formula. 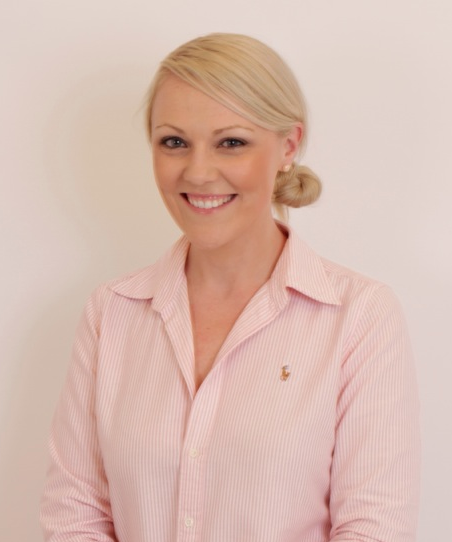 Rachael is a mum of two and the principal consultant heading the team of regulatory affairs consultants, naturopaths and scientific researchers at Rachael Keenan Consulting (RKC). As a Nutritionist and mother of 2 beautiful girls, I started following the Lose Baby Weight facebook page due to the great articles, humble community feel, post-natal exercise tips and scrumptious healthy eating recipes. At first I didn’t even realise there was a whole range of University & Nutritionist backed products that were available to use as part of a weight loss program. When I had a look at the ingredients in the Weight Loss Smoothies, I was pleasantly surprised and realised this was no ordinary ‘weight loss shake’ diet and also comes with a fantastic 28 day diet & exercise plan which is the best ‘diet’ plan I have ever seen.. I was happy to discover the sugar content in the Smoothies is one of the lowest going around, the fibre content is miles above the rest and the addition of lactation boosting herbs is a massive bonus. Fenugreek is one of the most proven herbs used to increase breast milk supply and there is a very significant dose per serve in the Healthy Mummy Smoothie. The smoothies also contain Bromelain (from pineapple), an enzyme that assists in protein digestion and also contains anti-inflammatory properties which can help to reduce swelling and bruising post labour. The Healthy Mummy Smoothie is also high in protein and contains 24 important vitamins and minerals essential for the breastfeeding mummy. The Healthy Mummy Smoothie really is leaps and bounds above the rest when it comes to nutrition, taste and value for money. It’s such a wonderful product for the time poor, tired and exhausted breastfeeding mother who would like to lose some of the excess baby weight – whether it be used as a meal replacement or as a snack. I am happy to recommend the Healthy Mummy Products and 28 Day Plan to all of my weight loss clients, whether they are breastfeeding or not. “I LOVE the Lose Baby Weight plan! It’s simple, sensible and breastfeeding friendly with great information, balanced nutrition plans and is supportive of the realities of being a new mother. the work is all done for you – with shopping lists, daily plans, easy exercises that will fit around caring for your baby – and the recipes are so inviting and delicious! I loved the approach of ‘Healthy Mummy’ towards weight loss and exercise. The Lose Baby Weight plans suggested are realistic, balanced, well researched, achievable and most importantly sustainable. The website and encouraging daily emails are wonderful. They provide much needed and timely encouragement and education to mums in relation to healthy eating and other ways to keep the weight off. I have purchased a variety of weight loss shakes in the past and to be honest I am not a fan. I reluctantly purchased the program with the shakes wanting to give myself the best opportunity to loose the weight. I was pleasantly surprised with the shakes and how delicious they are. I tried strawberry and chocolate and both tasted really good, much different to my previous experiences with other brands. The shakes contain a multitude of ingredients and I found that they were a great breakfast or afternoon snack when I needed a boost. The shakes are helpful for mums that are on the go, breastfeeding and they complement a balanced diet. The ‘Post pregnancy exercise DVD’ is also perfect. The sessions run for approx 10-15minutes which is achievable and you can exercise in the privacy of your home. I have found the DVD has assisted in gaining more energy, feeling more toned and loosing weight. “The Lose Baby Weight Plan is a fantastic and simple to follow guide. It shows mums in a easy way, how to both lose baby weight & tone up. The meal plans are well balanced, nutritious and would work well for any breastfeeding Mum. I was reassured when choosing the 28 day plan that it is produced by health professionals with the appropriate qualifications; it consists of a healthy well balanced nutritional plan and an exercise guide that is broken down to be achievable in any mothers daily routine. It is truly a well written book with refreshing healthy yummy images that has now become my bible. And if you are looking for a quick meal loaded with nutrients, and accommodating to your individual taste buds, then the healthy mummy smoothies are ideal. I have found them handy to have for lunch and the occasional breakfast; I love the chocolate coconut smoothie and banana mango smoothie. You will find the smoothies contain a product fenugreek, an ingredient that has been used as a galactogogue to assist mothers with their milk supply when breastfeeding. Please note if your baby has colic or food sensitivities we do not recommend changing your diet without talking to your Doctor.